We are pleased and proud that AAVSO Council member Dr. Chryssa Kouveliotou has been elected to membership in the National Academy of Sciences. Her election in January 2013 by the academy members comes in recognition of her distinguished and ongoing accomplishments in original scientific research in astrophysics, and is one of the highest honors a scientist can receive. Chryssa joins fellow AAVSO member Dr. Charles H. Townes in NAS membership. "I salute the National Academy of Sciences for their recognition of the groundbreaking scientific contributions that Dr. Kouveliotou has made in the field of high energy astrophysics," said John Grunsfeld, associate administrator for NASA's Science Mission Directorate in Washington. "Her work in expanding our knowledge of the nature of cosmic gamma-ray bursts, and her broad efforts in the service of science are exemplary of the creativity, collaboration and innovation that are hallmarks of a great scientist. I extend my heartfelt congratulations to her, and am confident that she will continue to do great science and serve the nation as a member of the academy." Chryssa is among the world's leading authorities on gamma-ray bursts, the sudden explosions of extremely high energy that come from supernovae, neutron stars, and other super-hot regions of space. She was part of the original team that proved gamma rays were coming from outside the galaxy, and she is one of the principal scientists on the Gamma-ray Burst Monitor, an instrument flying aboard the Fermi Gamma-ray Space Telescope (formerly GLAST). 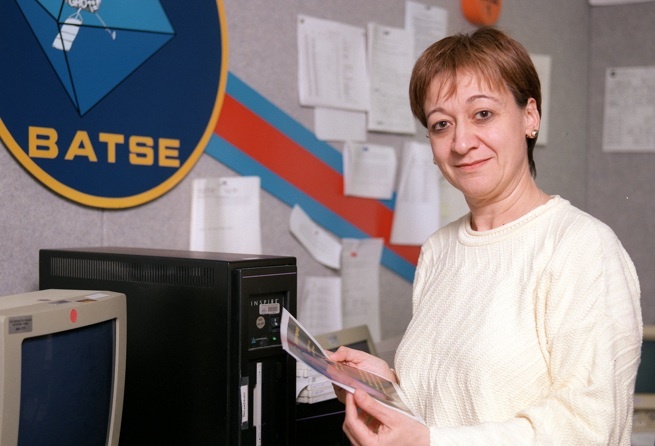 Throughout much of her career, Chryssa has worked on high-value NASA research missions, including the International Sun Earth Explorer-3, the Solar Maximum Mission, and the Burst and Transient Source Experiment (BATSE), which flew on NASA's Compton Gamma-Ray Observatory. Before joining NASA in 2004, she directed the Universities Space Research Association (USRA) Astronomy Program in Huntsville. She also served as deputy director of the Institute for Space Physics, Astronomy and Education, a joint research venture of the University of Alabama in Huntsville, NASA, and USRA. A native of Athens, Greece, and fascinated by space since childhood, Chryssa received her bachelor’s degree in physics from the National University of Athens, Greece, her master’s degree in science from the University of Sussex, England, and her doctorate from the Technical University of Munich, Germany. While working on her doctorate in 1978 she began studying the barely-understood phenomenon of gamma-ray bursts and has stayed with it ever since. 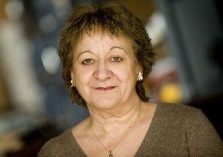 For an interesting but brief article by Chryssa on her childhood and early career, please visit http://www.nasa.gov/centers/marshall/about/marshallfaces/kouveliotou.html, and for an equally interesting and more in-depth article on her early career and the development of the understanding of gamma-ray bursts, please visit her 2009 interview with scienceWATCH.com at http://archive.sciencewatch.com/ana/st/gamma/09sepGamKouv/. Chryssa has received much recognition over the years for her work. 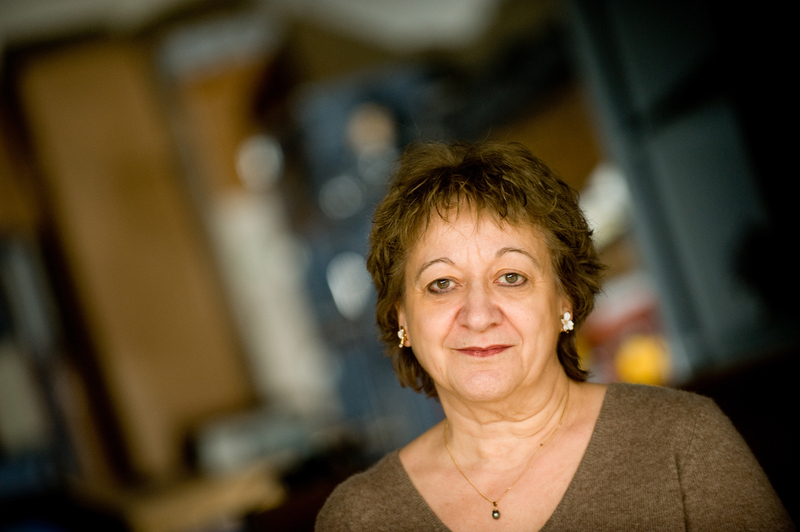 She was a member of the international team that won the 2002 Descartes Prize for confirming theoretical predictions that gamma-ray bursts (GRBs) are the most powerful explosions in the universe, second only to the Big Bang. In 2003 the American Astronomical Society (AAS) HEA Division’s Rossi Prize was awarded to Drs. Robert Duncan and Christopher Thompson for their prediction, and to Chryssa for her observational confirmation, of the existence of magnetars, neutron stars with extraordinarily strong magnetic fields. In 2005 she received the NASA Space Act Award for outstanding scientific contributions significant to NASA’s mission. In 2012, Chryssa was awarded the Dannie Heineman Prize for Astrophysics by the American Institute of Physics (AIP) and the AAS, given annually to recognize outstanding work in the field. Her Heineman citation reads: "For her extensive accomplishments and discoveries in the areas of gamma ray bursts and their afterglows, soft gamma repeaters, and magnetars. Particularly notable are Dr. Kouveliotou’s abilities to create collaborations and her effectiveness and insights in using multiwavelength observations." Chryssa responded, "I am very grateful and honored to be recognized by the community with this very important award. I am also very pleased to see the recognition of building collaborations, which I consider to be an indispensable tool in scientific research today." Also in 2012, Chryssa was awarded the NASA Exceptional Service Medal, and was named one of Time magazine's 25 most influential people in space. In January 2013 Chryssa assumed the position of senior scientist for high energy astrophysics within the Science and Technology Office at NASA's Marshall Space Flight Center in Huntsville, Alabama. And now comes her election to the National Academy of Science! Chryssa has published nearly 400 papers in refereed journals, co-edited or co-authored three books, and has been among the top 10 most-cited space science researchers in published journals worldwide. She is a fellow of the American Physical Society (APS) and the American Association for the Advancement of Science (AAAS). 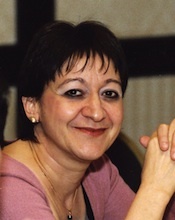 She is a member of the International Astronomical Union (IAU), an Organizing Committee member of IAU Division D (High Energy Phenomena and Fundamental Physics), a member of IAU Divisions B (Facilities, Technologies, and Data Science), J (Galaxies and Cosmology), and B, Commission 6 (Astronomical Telegrams), and a past member of Division XI (Space & High Energy Astrophysics). Advisory committees and boards she sits on include those of NASA, the European Space Agency (ESA), and the Danish DARK Cosmology Center. She has served as the chair of the APS Division of Astrophysics, in the Council of the AAS, and is the past chair of the AAS High Energy Astrophysics Division and the vice-chair of Commission E (Research in Astrophysics from Space) of the Committee on Space Research, headquartered in France. Also, Chryssa is a former member of the Committee on Astronomy and Astrophysics of the National Academy of Sciences, and former liaison for the Astrophysics Committee of the International Union of Pure and Applied Physics (IUPAP), headquartered in England. In addition, she is, of course, serving on the AAVSO Council. 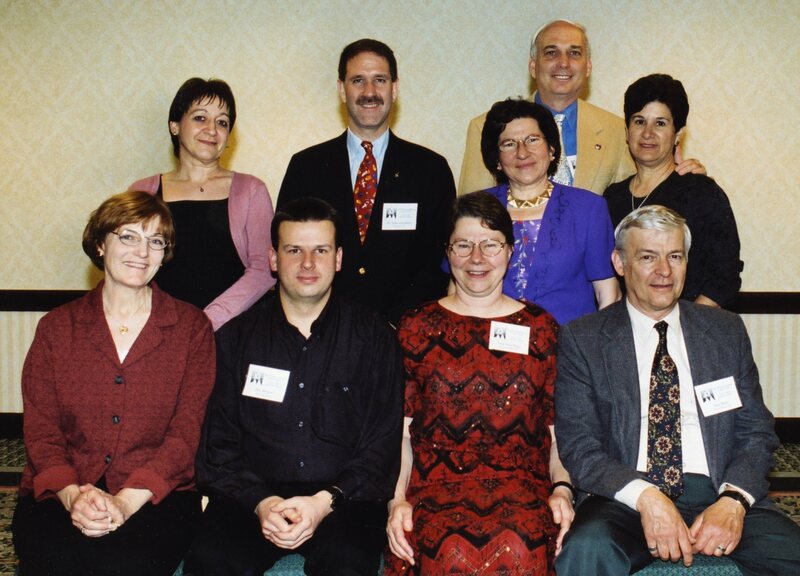 Chryssa’s close connection to the AAVSO goes back to the late 1990’s, when she and then Director Janet Mattei met at an AAS meeting in 1997 or 1998. They introduced themselves and began talking, and found they were on exactly the same wavelength in wanting to bring the professional world of high-energy astrophysics into the amateur astronomer world in a mutually beneficial way. More talking led to the plan for the First High-Energy Astrophysics (HEA) Workshop for Amateur Astronomers, Dr. Gerald Fishman’s and NASA’s involvement, funding strategies and proposals, a great deal of very hard work by many people, and an extremely successful workshop at Marshall Spaceflight Center in Huntsville, Alabama, in April 2000 that launched the AAVSO’s High-Energy Network. Chryssa and Janet became very close friends and colleagues – and they loved the fact that a Greek and a Turk (historically traditional enemies) could be so in tune with each other on so many topics! Their strong belief in the value of working together for the common good led to numerous other collaborations, including the Second HEA Workshop for Amateur Astronomers, held in Waikoloa Beach, Hawaii, in 2002, and plans for the Third HEA Workshop, to be held in Las Cruces, New Mexico, in 2005. When Janet fell ill in September 2003, Chryssa wanted to do something for her and the AAVSO that was in line with their and others’ thinking about high-energy objects and the very real contributions the AAVSO could make to understanding them. She wrote and submitted a proposal (which was funded) to the NASA Swift Education and Public Outreach Program for JANET – the AAVSO Joint Afterglow NETwork, to expand the AAVSO International High Energy Network by adding three more amateur astronomer sites around the world equipped with AAVSO-owned CCD cameras, filters, and communication equipment to detect and monitor gamma-ray burst (GRB) afterglows on notification of GRB detections by Swift. Chryssa also coordinated the very complex proposal to NASA (also funded) for the Third HEA Workshop that was held in Las Cruces in 2005 in collaboration with NASA Marshall Space Flight Center, New Mexico State University, and NASA’s Swift and GLAST missions (through Sonoma State University). She has remained close to the AAVSO despite her very complicated schedule, and we are grateful to her for her service on the Council. How does Chryssa feel about why she does what she does? "After all these years," she said in her scienceWATCH.com interview, "although my research has expanded in many areas, I'm still working on gamma-ray bursts. They still intrigue me just like those falling stars did when I was a child. I've always loved to look at the universe, at how nature expresses itself. I live for the unexpected joy of finding new things, solving mysteries, and understanding the world. And each time I learn something new, I realize how little I know! "But I do know this. No matter what obstacles are placed in your way, follow your dreams and they will take you to the stars."